The Carlisle Brass Designer Range Lilla Door Handle on Bathroom Plate Polished Brass has a gently curved shape lever - it would be suitable for many different applications throughout your home. The backplate has a rounded design which nicely compliments the lever style. 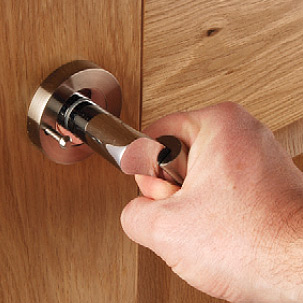 This handle has a polished brass finish.